Technical diving is a term used to describe all diving methods that exceed the limits imposed on depth and/or immersion time for recreational scuba diving. Technical diving often involves the use of special gas mixtures (rather than compressed air) for breathing. The type of gas mixture used is determined either by the maximum depth planned for the dive or by the length of time that the diver intends to spend underwater. While the recommended maximum depth for conventional scuba diving is 130 feet, technical divers may work in the range of 170 feet to 350 feet, sometimes even deeper. Technical diving almost always requires one or more mandatory decompression “stops” upon ascent, during which the diver may change breathing gas mixes at least once. 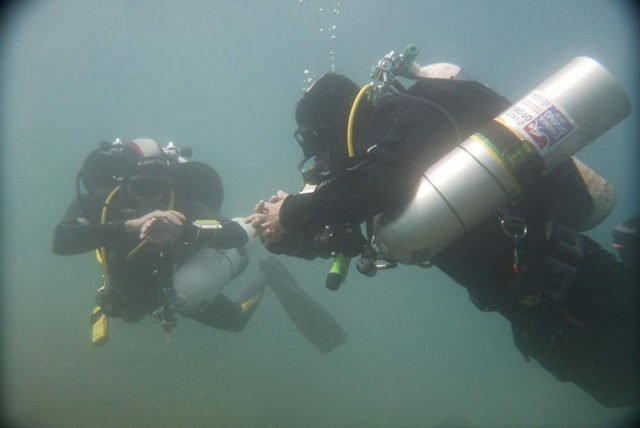 Decompression stops are necessary to allow gases that have accumulated in the diver’s tissues (primarily nitrogen) to be released in a slow and controlled manner. 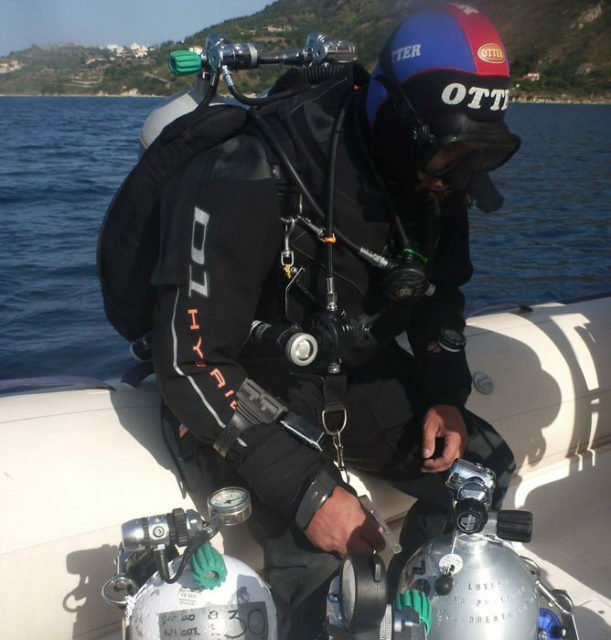 This program is designed to train divers to conduct dives to depths between 30 msw (100 fsw) and a maximum depth of 51 msw (170 fsw) using and EANx mixture, to provide greater understanding of custom blend breathing gas mixtures, a complete knowledge of the limits of any EANx mixture and the use of EANx and oxygen for decompression. The course covers a broad level of theory and skills, focusing on the bailout procedures needed to conduct extended range dives. A major emphasis on the theory is dive planning for all failure scenarios. The course develops the core survival skills such as isolation manifold shutdowns to a higher level of performance, giving the diver increased confidence to conduct extended range dives. 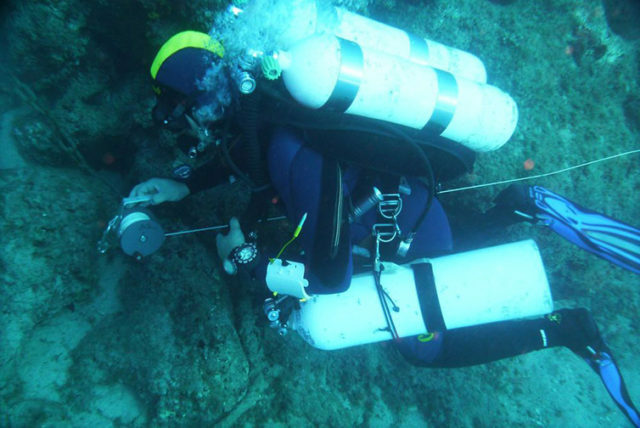 The knowledge and skills taught in this program qualifies divers to safely conduct dives to 51 msw (170 fsw) and perform decompression stops using EANx or oxygen. The IANTD Normoxic Trimix Diver program is designed to train divers who wish to dive to depths between 39 and 60 msw (130 and 200 fsw), but do not wish to breathe air below 39 msw (130 fsw).This program qualifies divers to perform Trimix dives to a maximum depth of 60 msw (200 fsw) using custom bottom mixes with a minimum oxygen content of 19% and one decompression cylinder. 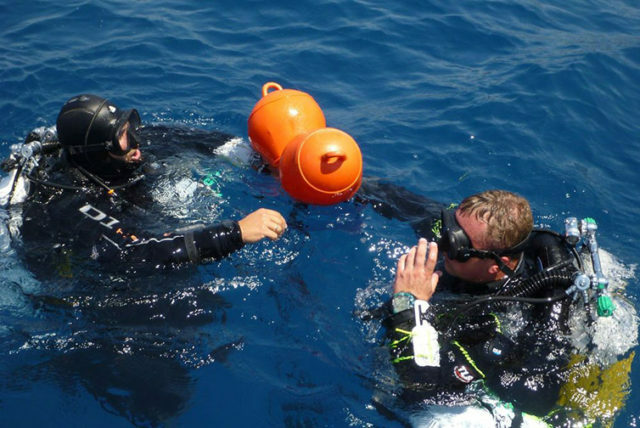 This program is designed for those individuals already involved in deep diving activities but wish to develop the skills, ability and knowledge to enable safe diving in the trimix depth range. It includes extensive dive planning workshops covering all bailout scenarios, run time management and choice of gases. The diver’s skills are developed to the highest level to promote self sufficiency and safety whilst maintaining the ability to operate within a team. The program includes academic lectures, confined water skills development and open water dives. Gas switching computers can be used (and are recommended) but IANTD tables must be used as a backup. The knowledge and skills taught in the IANTD Trimix Diver program qualify divers to perform Trimix Dives to a maximum depth of 100 msw (333 fsw). The foundation program for safe self sufficient diving. The IANTD Advanced Nitrox program covers the core skills from the technical diver training programs including the use of dual outlet single cylinders or twinsets with central isolation manifolds and decompression skills and procedures using bottom mixes upto 40% nitrox and decompression mixes upto 100% oxygen to a maximum depth of 42 msw (140 fsw).